An exhausting day from work can take the life out of you. Let’s face it, our energy seem to be drained and some booster is highly needed to escalate things up. Some of us head to the nearest bar to unwind a bit and we have a dear friend over there whom we turn to not only for the best mix of drinks but also about other things like life choices too. 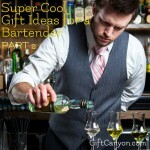 The bartender is someone who loves mixed drinks and spirits, these people are without a doubt the right ones to swing to in times of “I need a drink moment.” If you are planning to surprise your favorite bartender but is running short of ideas on what to give, check out the list of the coolest gift ideas for a bartender we have prepared below for you. Hey, we published a second set of bartender gifts! Drinks are more exciting if served ice cold. What would make it more exciting is when the ice would look like a d20. Gamers would jump for joy to see their favorite drinks come with 100xp! The ice cube produced is 2.4 inches in diameter and comes in a shape of critical hit d20. This ice mold can store for up to 4 oz. The freezing time takes about five to six hours. The ice mold can also be used to mold chocolate or soap as you like. This silicone mold is dishwasher, oven and freezer safe. Cocktail recipes and various mixes are just a part of a bartender’s daily grind. A little bit of history of all these fabulous drinks would certainly entice our best bartender in town. 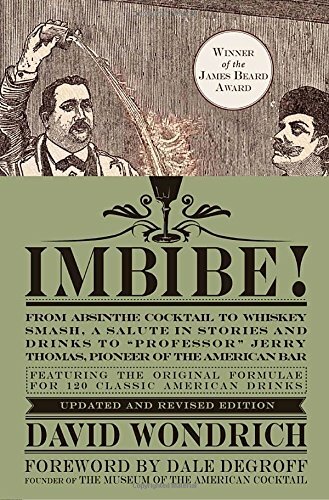 Imbibe is a 384 page book full of colorful back stories of our favorite drinks from Absinthe Cocktail to Whiskey Smash and a lot more. What would be a more fun way to celebrate Saturday nights with friends other than watching Game of Thrones marathon? If we are on the same page, you may think of drinking sessions, right? Our dear bartender would have a better way of presenting his mixologist skills by putting these sweet poison on every Game of Thrones shot glass! Watching Game of Thrones would be more fun if it’s coupled up with matching Game of Thrones shot glass set. The set comes in 4 glasses: Lannister, Baratheon, Stark and Targaryen. The bartender has encountered different kinds of people in the bar and he is already a pro to distinguish who is drunk and who is just plain dummy. 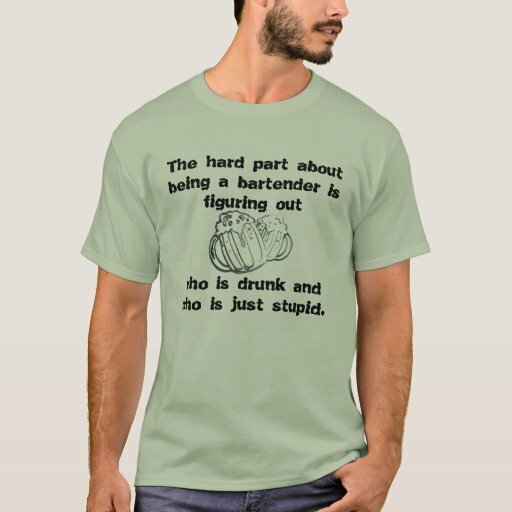 If you are planning to give a funny gift that is economical at the same time, then this funny shirt fit for the fab bartender is your best shot! This shirt comes in various colors to choose from. 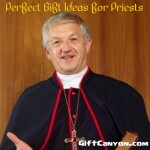 It fits true to its size and is made from 100% cotton. This is comfortable to wear and is double needle hemmed that is designed to withstand frequent wash and wear. Shot nights are fun! Who would disagree? Shot nights would be more fun when spent with friends and loved ones but to add more zizzle and more fun to the traditional shot nights, you can spice it up by gifting your bartender friend some drinking game sets. Our favorite bartender maybe a pro in mixing drinks and playing the wiz in drink science but injecting some more fun in presenting his beautiful creations would be a delightful thing! 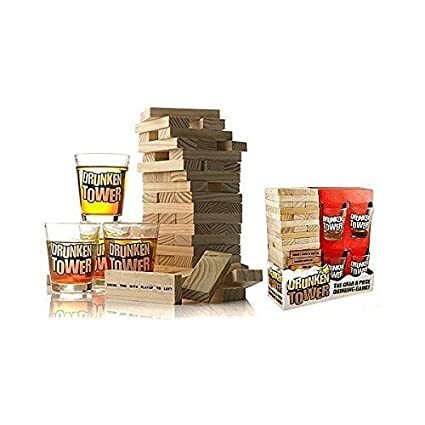 There’s this Barwench Drunken Tower Drinking Game which is more like the stacking game but of course there are shots involved so this is more exciting. For those who are fond of going to casinos, didn’t you know that there is a way to incorporate drinks while playing a mini casino game? Yeah, you heard it right! Through this fun and innovative drinking game of Shot Glass Roulette, shots nights headed by our dear bartender would be more fabulous and full of enjoyment! Shot glasses are fun to see, it gives a thrilling feeling of having the next shot! 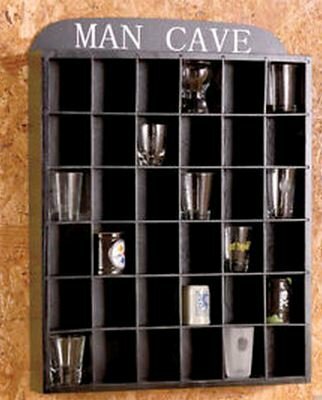 If your favorite bartender has a man cave which seems like a mini bar in his house, you can gift him this shot glass display set as a way to showcase his beautiful collection of shot glasses. This shot glass display set can hold for up to 36 shot glasses. This legendary shot glass display set has no door to prevent dust. This is made from high quality pinewood and there’s no need to assemble. 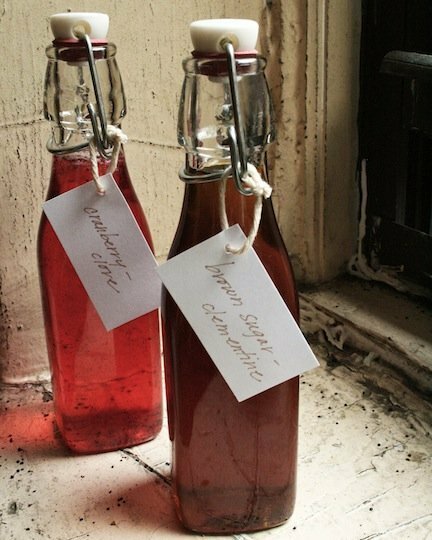 All you have to do is to mount it on the wall and presto, a charming addition to the dear bartender’s mini bar. Our best bartender just love to mix and match. 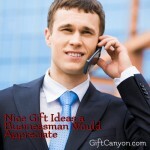 He never gets tired of creating new flavors for the benefit of his customers. 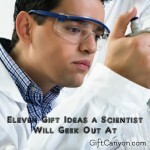 He would be more delighted to have more equipment like this next gift idea which would definitely be a helpful way to explore his talents in the field of mixology. The steel bar set is comprised of nine pieces of basic tools in mixing drinks. 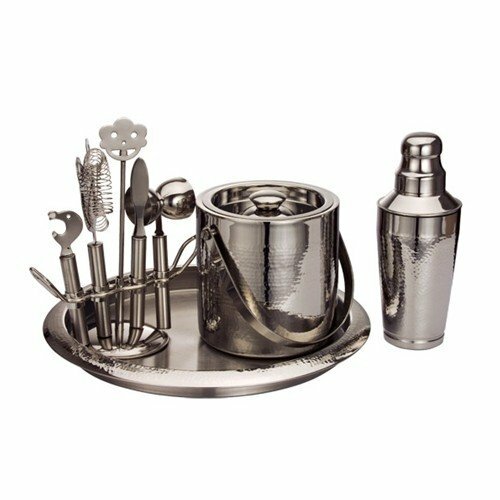 This set includes nine stainless steel equipment like a cheese knife, bottle opener, stirrer, strainer, double jigger, a shaker and more. Bartenders don’t only mix drinks sometimes they are also fond of cooking. 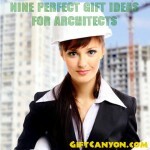 If you have a bartender friend who is a great cook as well then this next gift idea would be a surefire hit! This apron is made especially for a bartender. 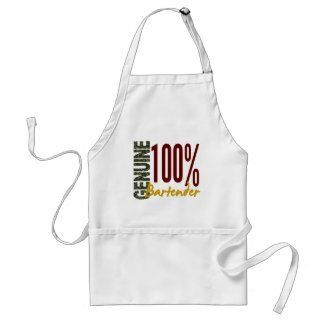 This apron has a design which states: “Genuine 100% bartender”. This apron is not only used in cooking, this can also be used during painting sessions, gardening, cleaning and other things that involves messy work that need some shield to guard the clothes of our dear bartender. 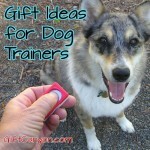 The design is customizable so you can also make it as personalized as possible. 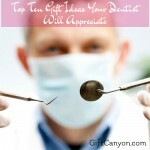 If you are in for making things to surprise your favorite bartender with a unique gift then this DIY gift idea would be the right one for you. You can make your very own cocktail mixer to gift to your dear bartender. The procedure is easy to follow and the ingredients are readily available in your home or can easily be procured in the market. 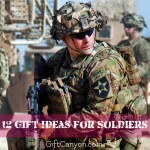 Check out The Kitchn for more details: . Our favorite bartender can mix and match our wildest requests in drinks. He is indeed a pro mixologist and we love him for that dearly. Bee is served as it is but do you know that you can also brew your very own beer. 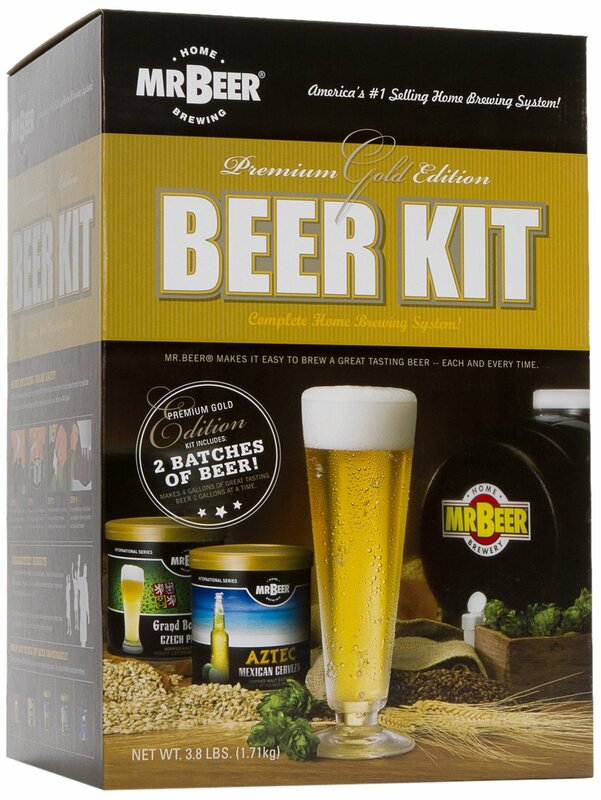 The beer kit is a do it yourself homebrewed beer maker which contains equipment which is reusable, malt and other ingredients to make this all time favorite brew. 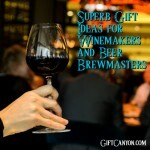 Looking for More Gifts for a Bartender? 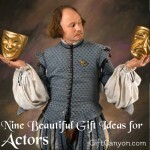 We just published a second batch of gifts! Check it out.